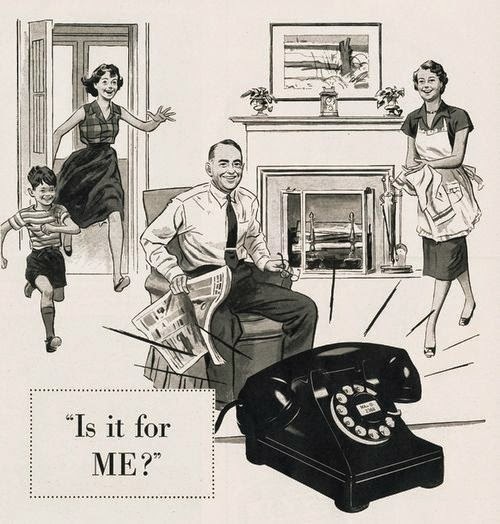 Do you remember having just one phone at home? I do. It was a wall phone in the kitchen, and it had a long cord. If you wanted to talk privately to friends, you had to stretch the cord as long as possible (I got to be a pro at this). There was, of course, no caller ID ... so there was a thrilling moment of waiting to see who was on the line. Of course, I love my smartphone and use it constantly ... but somehow I remember the "good old days" fondly as well. Do you remember the "good old days" of having one phone at home as well? I'd love to hear your memories in the comments, below.